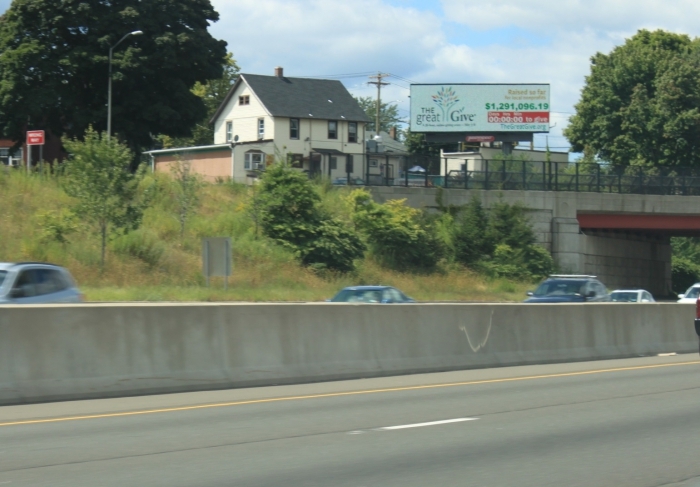 Digital billboards played a large role in an annual fundraiser know as The Great Give in New Haven Connecticut. The Community Foundation for Greater New Haven in Connecticut understands the importance of timely communication with those they serve. Each year the Foundation operates The Great Give, a condensed, three day campaign designed to strengthen nonprofits serving greater New Haven by advancing knowledge about their work. The Great Give also functions to encourage giving for the programs served by the Foundation. Their 2015 campaign featured interactive digital billboard advertising to keep the community updated in real-time. This year’s three day effort raised almost $1.3 million, substantially beating the original goal by 30%. The Foundation purchased a full month on a digital billboard, rotating messages several times each day for several seconds at a time. The billboard, owned by Independent Outdoor and manufactured by Watchfire, is located on a main thoroughfare in the area, which is a heavily traveled and widely viewed location. Watchfire's Ignite OA software was used to create real-time updates on campaign fundraising benchmarks. The Foundation provided the artwork and used Ignite's data feed capabilities to display up-to-the-minute campaign details. Artwork with a countdown provided reminders leading up to the campaign kickoff. During the campaign messages provided information about participating agencies and showed live updates on totals during the campaigns. Real-time shots of the leader board were used to challenge donors. Each hour’s total of the three day event was tallied, as time counted down and donations added up. The dynamic nature of the campaign kept The Great Give on everyone’s mind and directed donors to an internet address – their main portal for giving. Sharon Cappetta, Director of Development with The Community Foundation of Greater New Haven indicated that this innovative outdoor advertising campaign was supplemented with other media. The Foundation leveraged the strengths of each media outlet, using digital out of home to engage with immediate feedback while traditional media provided mission related details. “It was an incredibly excellent way to feed information to the public in real time. The help on integrating dynamic content from Watchfire was vital to the success of the campaign,” said Cappetta. Compared with the prior year, which did not include billboard advertising, the 2015 Great Give campaign surpassed their goal of $1 million by nearly $300,000. Foundation directors say they’d like to use digital out of home again in the future, adding that this level of engagement would have been difficult to attain without the immediacy of its interactive features. Extra funds raised this year will further benefit the many deserving organizations served by The Community Foundation for Greater New Haven. Use our ROI calculator to project how quickly your investment in digital will pay off.